There’s little to match extending a high-revving Honda V-TEC engine beyond 5,500rpm and feeling the extra power kicking in, hearing the engine note harden and being absorbed by the extra acceleration. 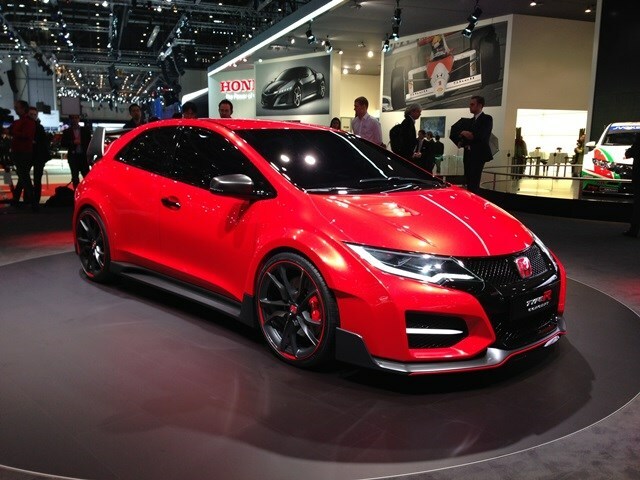 Which is why some might think it strange the new Civic Type R be fitted with a turbocharger. But that’s the quest for low emissions for you; like every other company Honda is aware downsizing and turbocharging is the best way to satisfy both petrolhead and eco-greenies. And so it is that the Civic Type R moves to a four-cylinder petrol turbo with forced induction. There’s no official word on outright power, but with rivals like the Vauxhall Astra VXR and the SEAT Leon Cupra 280 producing near enough 280bhp you can bet your bank savings the Civic will do something similar. It claims the new car will still offer the same razor-sharp throttle response as seen previously, matching high revs with the added torque of the turbo – a combination, that on paper at least, suggests the Civic Type R could be a winner. And thanks to the base car’s already sharp looks the Type R will certainly stand out, especially for those not used to the Japanese hot hatch scene. The firm is using the tagline ‘racing car for the road’ so don’t expect subtle or shy and retiring to feature anywhere. Still very much a concept, but word on the showfloor has it that the FCEV will pave the way for the firm’s next fuel cell electric vehicle, and the styling should remain very similar too. Just like with the production car, which is coming to Europe a year later than the US and Japan, we're behind in terms of public showings too - they've already seen this car last year. It’s been a long time coming, and truth be told we’re still no-where nearer to seeing a production version, but Honda are keen to showcase this car’s engine. So far we know it’ll use a V6 petrol turbo engine alongside the firm’s 3 motor Sport Hybrid SH-AWD hybrid system. That means it’ll be all wheel drive, and hopefully offer the sort of performance we’d expect from such a legendary nameplate.